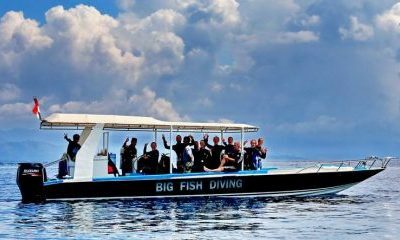 BIG FISH DIVING IS BASED WITHIN SECRET GARDEN BUNGALOWS WHICH HOUSES A RECEPTION AREA AS WELL AS A DIVE CENTRE FACILITIES WHERE WE WASH, DRY AND STORE ALL OUR RENTAL EQUIPMENT. 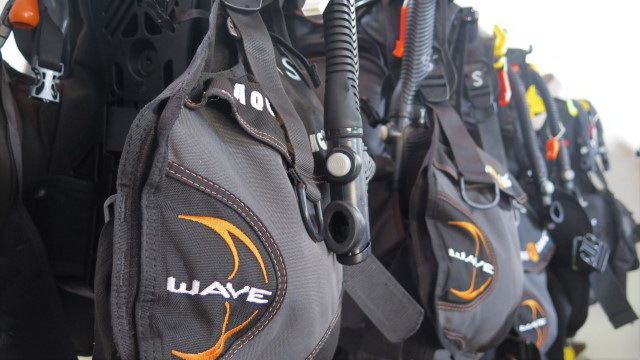 THERE IS ALSO PLENTY OF ROOM IF YOU WOULD LIKE TO STORE YOUR PERSONAL DIVE GEAR AS WELL. Purpose built in June 2014, ”Agi” is the latest addition to our dive centre facilities. She is 11.5m long by 2.5m wide and powered by two Suzuki 150HP four stroke engines. That means no 2 stroke oil fumes and plenty of power to whisk us to the dive sites in style but without being noisy. Fully equipped with Emergency Oxygen, first aid kit, dive spares, marine radio, mobile hand phone and plenty of water we are ready to deal with any situation. Carrying 2 groups of 4 guests and 2 dive professionals there is plenty of space to set up your dive gear in the shade or relax in the sun. During the surface interval we serve hot and cold drinks as well as a tasty local Nasi Campur. 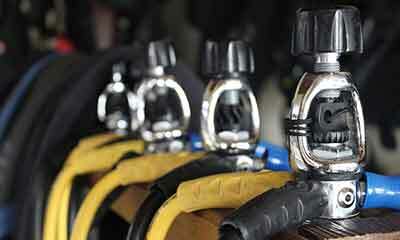 We stock all our dive equipment from either Aqualung or Scubapro. It is well maintained and serviced by our dive crew who have each undergone the manufacturers Servicing Seminar. 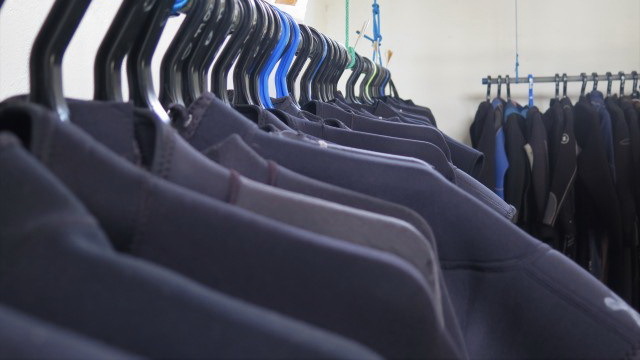 We have a large stock of 3mm long wetsuits which is fine for most of the year. When it gets cold during Mola Mola season we also have 3mm shorties to go over the top and hooded vests for underneath. We also use booties and adjustable fins to keep your feet warm yet provide the finning power you require. 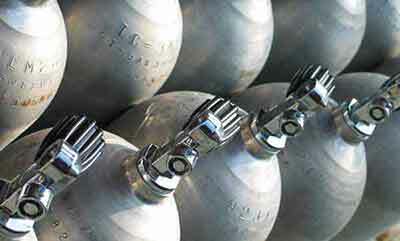 Our scuba tanks are visually tested yearly. And hydrostatically tested every 5 years according to manufacturers recommendations. Breathing pure air is essential. The last thing you want to be concerned about is the quality of the air you are breathing. With our diver’s safety in mind, in our dive centre facilities we have a brand new Bauer Poseidon 200 Compressor. It has additional P2/P61 filter tower for the cleanest air possible for our divers. Bauer compressor`s leading design technology produces unsurpassed compressor systems that have been tested for safety and reliability. Our compressor is frequently maintained and serviced by an in-house Bauer technician. You can be confident each breath of air is the purest. Conveniently located within Secret Garden Bungalows, our swimming pool was designed with diver training in mind. 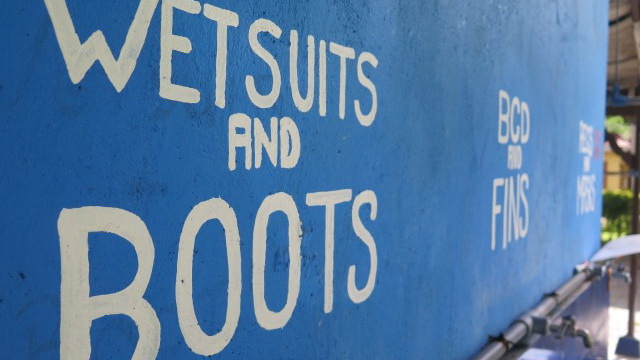 Our onsite swimming pool has a shallow section for complete beginners. There is a deeper 2.5m area which is perfect for practising buoyancy skills. Located in the reception area, we have diving accessories, branded reusable water bottles and shopping bags as well as hammocks, T shirts, etc. 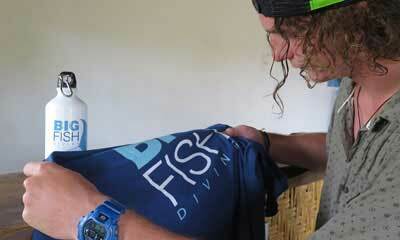 You can also buy items that contribute to marine conservation. All the items in our retail section are produced in Bali. You can truly feel on holiday in our open air classroom while watching instructional videos from the comfort of our sofa. We also have a diving library for any scuba diving addicts who want to explore what other fantastic adventures are awaiting for them.